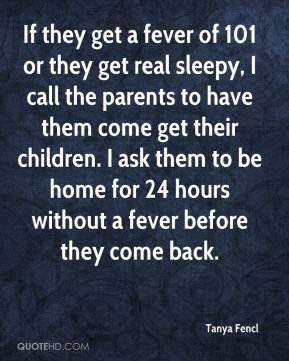 If they get a fever of 101 or they get real sleepy, I call the parents to have them come get their children. I ask them to be home for 24 hours without a fever before they come back. I bleach all the toys and use a lot of Lysol. I go through a lot of Lysol spray.